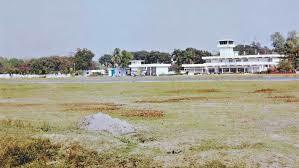 India is keen to provide support to Bangladesh in building Khan Jahan Ali Khan airport in boarder district Bagherhat and in modernizing Saidpur airport in Nilphamari, another frontier district. This was revealed when Indian High Commissioner to Bangladesh Harsh Vardhan Shringla held a meeting with Civil Aviation and Tourism Minister Rasshed Khan Menon at secretariat in the city on Sunday. During the meeting, the Indian envoy said the new airport at Bagherhat and a modern airport at Saidpur of the country's northwestern area would make a new edge in the field of commerce and tourism between the two friendly neighbouring countries. He also laid emphasis on launching direct flight on Dhaka-Guwahati-Bagdogra route soon for giving a boost to the both Bangladesh and Indian tourism industries. Noting that air frequencies between Bangladesh and India is increasing day by day, the Indian high commissioner proposed to review the existing Air Service Agreement (ASA) between the two countries that was signed in 1978. The minister said all necessary steps will be taken to review the existing ASA between Bangladesh and India. Menon also assured Shringla that the problem regarding clearing and forwarding agents and multiple visa holders at Petrapol check points in India would be resolved soon. The minister and Indian envoy also discussed various features of upcoming "North East Summit" to be held in Manipur state of India.